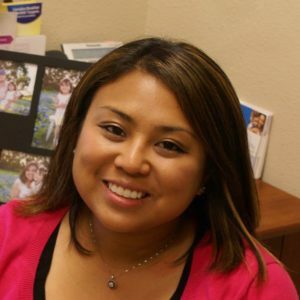 Neysa Stegmeyer is a Family Nurse Practitioner, board certified by the American Academy of Nurse Practitioners. She joined Killeen Pediatric Care Clinic, PA team in 2017 and strives to provider excellent care for patients and their families. She completed her Bachelor of Science in Nursing degree at the University of Texas at Arlington, and earned her Master of Science in Nursing at the University of Texas at Tyler. The majority of Neysa’s clinical nursing experience is in the field of Pediatrics. She has seven years of pediatric nursing experience and previously worked at BSWH McLane Children’s Hospital medical-surgical unit five years. Neysa is avaialble to see children from infancy to teens. She also can see young adults up to 23 years. Whether it is a sick or wellness visit, she is happy to give her patients an excellent and pleasant experience. Neysa was raised in Killeen and loves being able to give back to her community. She is married with two beautiful daughters. Her interest include time with her family, music, and fishing. She is excited to be a part of Killeen Pediatric Care Clinic, PA team, and enjoys caring for the children in our community, as well as getting to know her patient’s family.